HA HA! YOU FOOL! 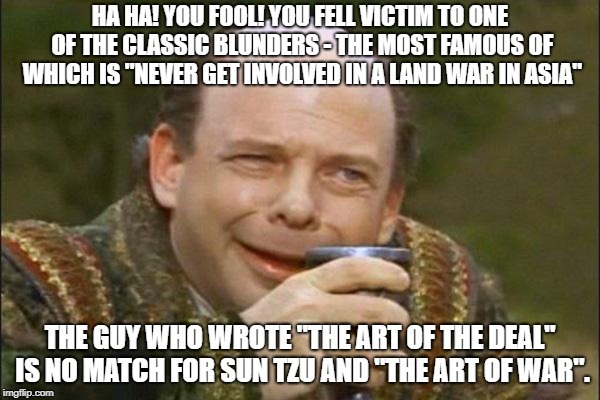 YOU FELL VICTIM TO ONE OF THE CLASSIC BLUNDERS - THE MOST FAMOUS OF WHICH IS "NEVER GET INVOLVED IN A LAND WAR IN ASIA"; THE GUY WHO WROTE "THE ART OF THE DEAL" IS NO MATCH FOR SUN TZU AND "THE ART OF WAR".